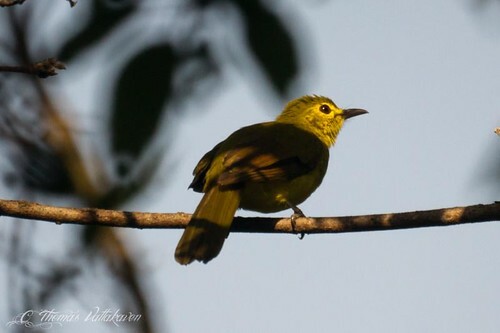 Having featured the White-browed bulbul, Black-crested bulbul and Red-whiskered bulbul earlier, here is another delightful member of the Pycnonotidae family – The Yellow-browed bulbul (Iole indica). 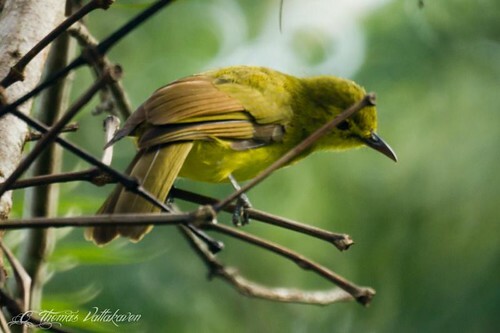 It is a very active bulbul with olive on its upper parts and bright yellow below with a yellow line over the eye. The wings are a dull brown. The iris is brownish red and the beak and feet are a pale or slaty blue. 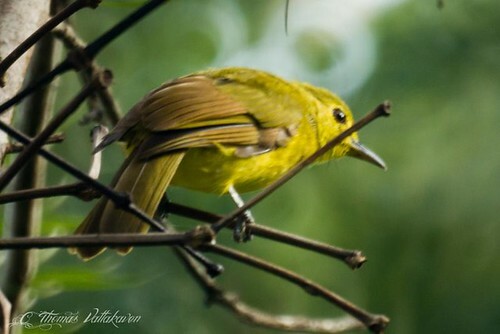 They are one the commonest forest birds in the western ghats and can often be seen in melodious parties. 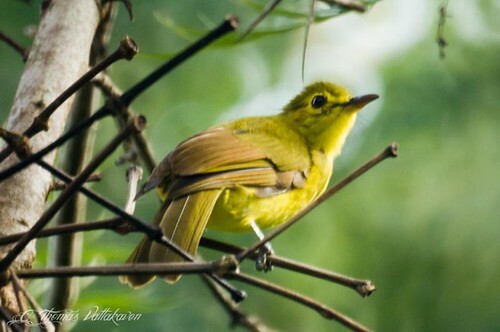 It is a noisy and gregarious bird, occurring in humid forests with thick undergrowth. It is a very restless bird, flying into the trees and then onto sapling, calling out in its characteristic warble. It is largely frugivorous feeding on forest berries and fruits. The breeding season extends from February to May. Nests are built in saplings or shrubs and occasionally in trees. It is a small cup, made entirely out of green moss or grass, bound with cobwebs and rootlets. The usual clutch is 2 eggs. 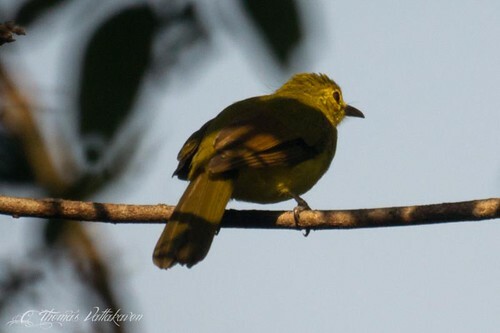 Other Details: Seen in a flock along with Wood-shrikes, scarlet minivets, Gold-fronted leafbirds, barbets, Vernal hanging parrots etc.